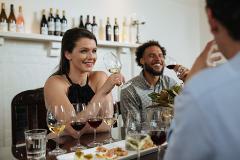 A unique and personalised tasting which offers guests the opportunity to enjoy a more in depth tasting with an exclusive look at the history and heritage of Elderton Wines. 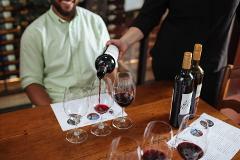 The Barossa is world renowned for Shiraz for a very good reason. 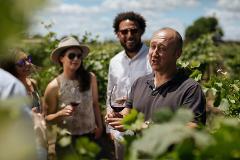 In this intimate Masterclass, hosted by one of our passionate Cellar Door team, we explore the diversity of Shiraz and the distinctive characteristics of three wines. For those with a sweet tooth, we provide a decadent tasting featuring a range of wine from Elderton paired with premium chocolates produced by one of Australia’s master chocolate makers. 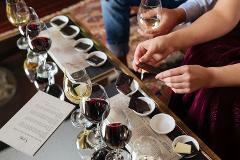 Elderton's Food and Wine Flight is a relaxed and self-guided food and wine matching experience. Enjoy a selection of five iconic Elderton wines, each served with a matching canape created using locally sourced produce.